Stories of displacement, migration and resilience. My grandparents settled in what is called Eagle Ford (known to locals as Ledbetter) in the 1940s from Lockhart, Texas. I grew up hearing about my family's stories about the Trinity River. 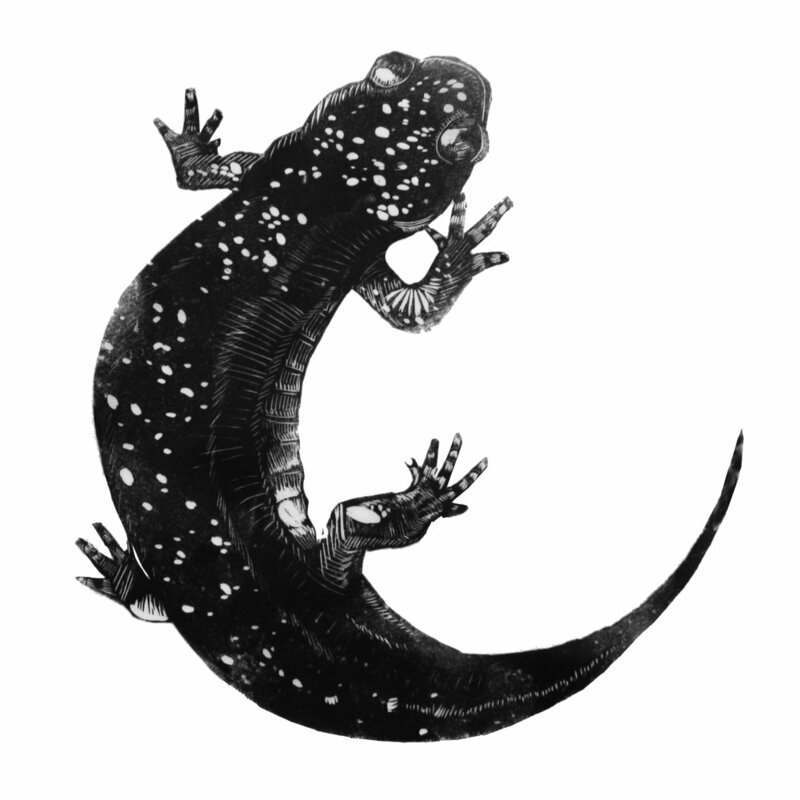 The unpaved roads, the close-knit community, and how the salamanders gathered under street lamps. West Dallas would be unrecognizable to them today, and this brings up the question of environmental injustice impacts over 50 years. The lead smelter was not built in Highland Park; it was built in West Dallas. Why was it okay to build a lead smelter in an established mostly minority neighborhood? The lead smelter left environmental impacts on the inhabitants of West Dallas. The swimming pool where I learned to swim was condemned when it was learned that the lead levels were too high. The empty lot on the corner of Singleton and Westmoreland is where The Boys Club on Singleton was closed, leaving the largely black and latinx neighborhood without a place for their boys. The irony of West Dallas is that today this polluted area is being rediscovered and its hard working inhabitants are on the verge of being pushed out. Recently, we learned of HMK forcing out 300 families. This reality has affected my aunt, who up until recently was renting a single family home, but is now being forced out by the city. She is a senior citizen who worked her entire life and subsists on a small social security check. Her story is not uncommon. The likelihood of my aunt being able to find a safe place for rent for less than $600 a month is slim. What’s happening to West Dallas is not unfamiliar to what's going on in Oakland, Brooklyn, or Portland. It is a symptom of the building inequality and the displacement of people and native animals alike to accommodate urban renewal. The blood, sweat, and tears people put into their homes can be bought and sold in the moment it takes for the hipster to desire a taco. 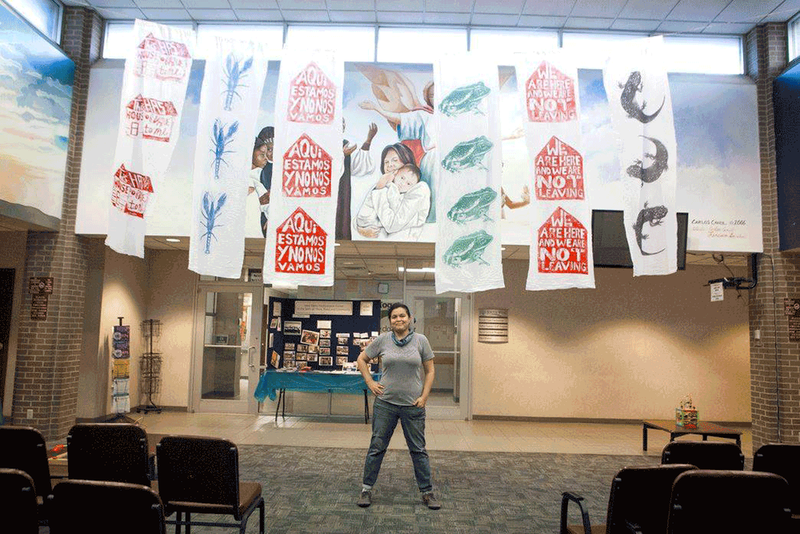 I examine this relationship between animals, environment and its people in a series of prints intended for display at the West Dallas Multipurpose Center. These animals share a narrative with their human brethren in that they have since been driven out of their habitat or simply pushed out by way of redevelopment. I chose animals that represented my memory of the Chalk Hill branch and my mother’s memory of life along the Trinity. The characters of this project are not the sexiest indigenous animals you might associate with wildness like the mighty buffalo, but they are just as much a part of the ecosystem. These freshwater animals represent a timeline to showcase displacement and present scarcity. In 1950s West Dallas Salamanders ruled the nighttime street, and Texas Prairie Crawfish were plentiful and occasionally made it to dinner tables. 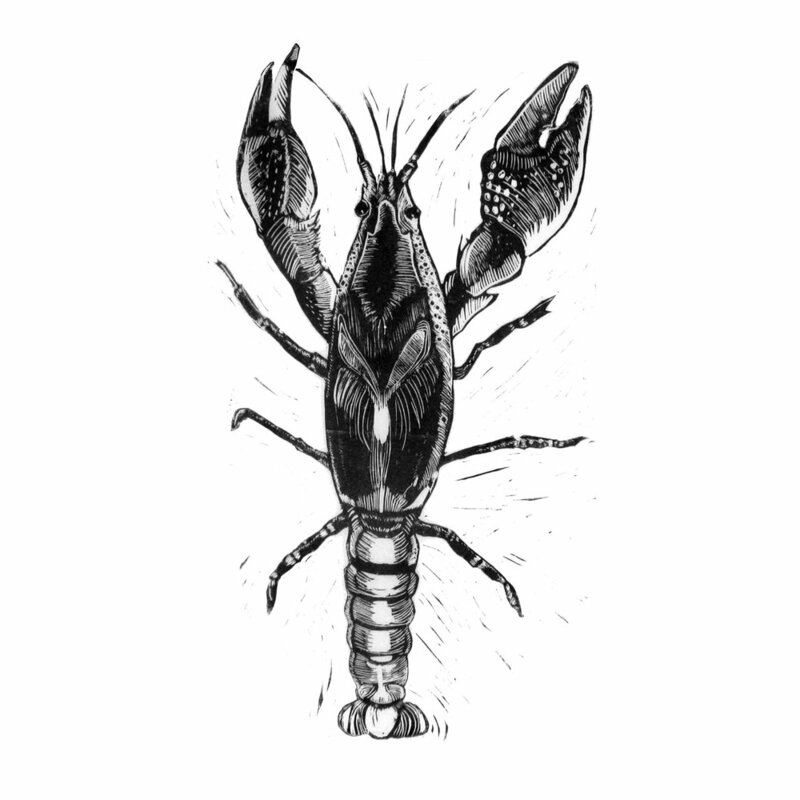 By the 1980s I saw one blue crayfish in the Trinity and haven’t seen any since. Besides Afrika Bambaataa’s Planet Rock on the boom boxes in our neighborhood, the nighttime sounds belonged to the Gulf Coast toads. Summer nights were breezy and thick, and the sounds of toads have all but disappeared. Great consideration was taken to work within the context of the West Dallas Community Multipurpose Center. The atrium waiting area is where folks wait for services like legal aid, senior services, and other community support services. My goal in weaving this imagery into banner form was to mirror the sentiments of the neighborhood in a way that says the struggle is visible and here are the symptoms and signs. When I learned that the banners were removed after only two days of being displayed, I was disappointed, but not surprised. My statements on the effects of gentrification and displacement (We are here and we are not leaving / This house has value to me) were direct but hardly scandalous or inflammatory. This signals to me that the slightest dissent from the city-wide narrative of progress is not a welcome one. And it raises some important questions about what it means to have community spaces and what kinds of art and stories are deemed palatable enough to remain. The irony is not lost on me that my art about removal was removed. Decolonization is an ongoing process, and it requires asking questions from the perspective of a migratory and displaced people. It means recognizing environmental racism is real and affects the advancement of a neighborhood in both health and community centers. Decolonizing to me means telling our own stories and de-silencing. 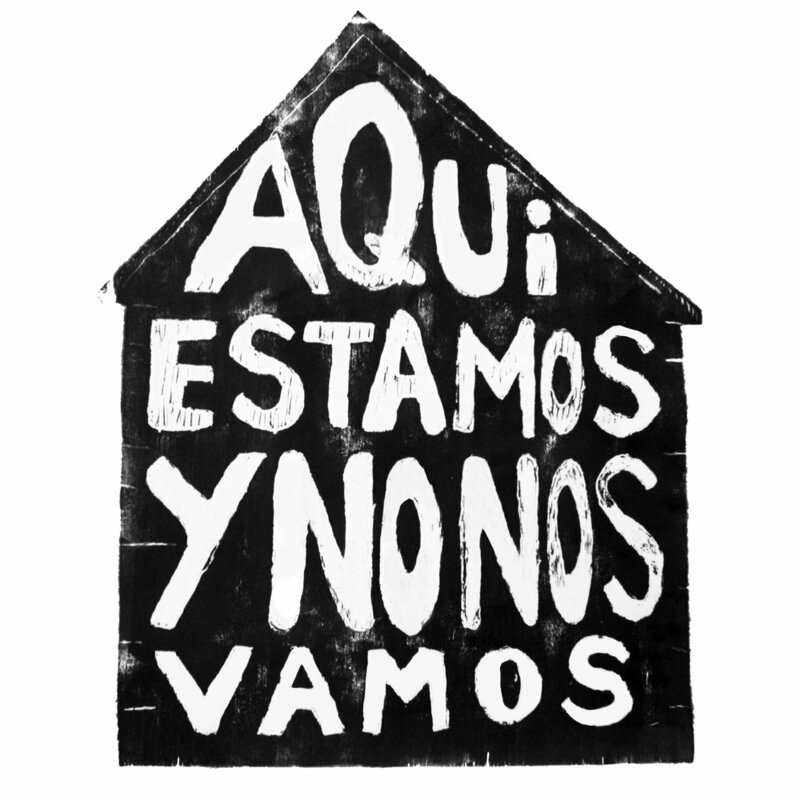 Project: Artist-guided tours of West Dallas, past and present. 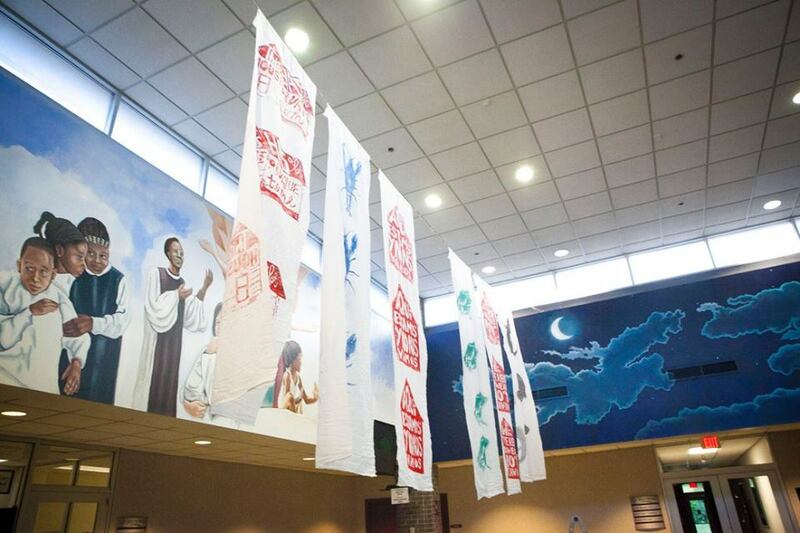 Project Description: Audiences will gather at the West Dallas Community Center throughout the month of April for a series of guided artistic tours through West Dallas. These artist-created tours will look at the contrast between the past and present of West Dallas as people start to rediscover this neighborhood. Artist tours will include visits to site-specific poetry readings, virtual reality films, and prints. A full schedule of the tours will be available at the West Dallas Community. Christian Vasquez is a filmmaker who has created short documentaries on police brutality in Dallas. He was filming the protests on July 7 when he caught the police shooting on film. Fatima Hirsi is a poet and organizer of Dark Moon Poetry and Arts, monthly pop-up events that feature the work of women and queer artists of color. 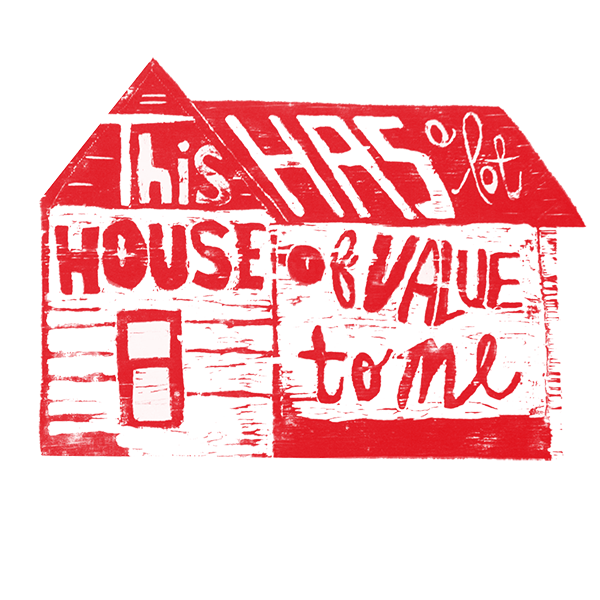 Angela Faz is a graphic designer and printmaker focusing on issues of social justice. Project Description: Super Fantasy Mercado is a pop up store focusing on artists multiples and investigating consumerism and gentrification that was originated Brent Ozaeta and Ha Mai. This project will be a fully functional boutique of goods by local artists and designers at affordable price points, as well as an art installation. Project Description: The Green Line ends at Pleasant Grove, and Pleasant Grove residents rely on the Green Line to connect them to the rest of Dallas. This pop-up art installation inside Buckner Station invites commuters to reflect on the role of the Green Line in the development of Pleasant Grove. Whereas a train station is traditionally a liminal place for connecting to a destination, this pop-up art installation asks the audience who encounters the work to consider Pleasant Grove as a destination instead of a stopover. Montoya William is a painter, Tamitha Curiel is a poet, and Dom Jones is a filmmaker. What they have in common (besides all being women of color), is that they were either raised or currently live in Pleasant Grove. These three artists will exhibit work that interrogates, remembers, and imagines the past, present, and future of Pleasant Grove. Artists: Trans.lation Vickery Meadow, Ash Studios, American Indian Heritage Day. Project Description: Mni Wiconi, the Lakota term for “Water is Life”, examines the relationship between the indigenous Native American community and the various indigenous and ethnic minorities living in Vickery Meadow. Artists will collaborate on public arts programming at Ash Studios and Trans.lation Vickery Meadow about the role of water and natural resources across global indigenous communities. A mural will be produced for display on one of Trans.lation’s outdoor cubes, and later at Ash Studios.